Taking last weeks Hybrid Rudiment “Shirley Murphy” and applying it as a groove along with the single Paradiddle and an inverted Paradiddle variation. Like any linear pattern you can try placing the provide sticking on different surfaces on the kit. I first placed all of the “R” on the Hi Hat and all of the “L” on the snare, making sure that I kept the tap strokes low and my accents big. As far as the kick I only placed it on the first accented “R”. Next I kept the same groove but placed all of the “R” on my safari crash (stacker), and all of the “L” on the Hi Hat while placing only the accented “L” on the snare drum. 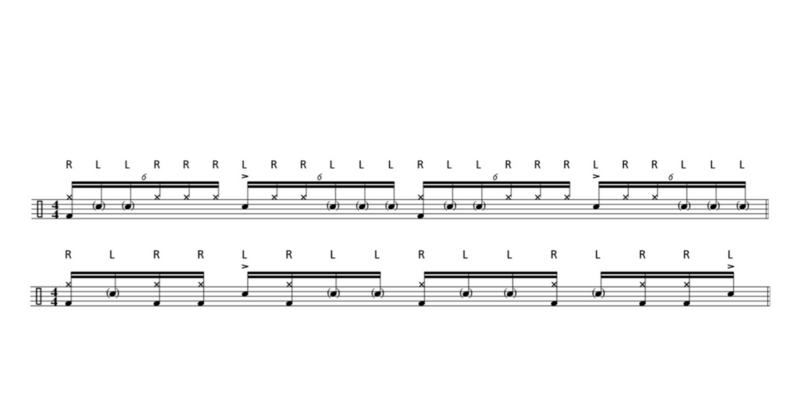 Be sure to check out the Hybrid Rudiment Breakdown Series!